Just as a starting point. I have had so many things to do that I haven't had time to game. Going into surgery next week will halt my game time even more. I have decided to not rush games and play them when I want to. So I will not be focusing on finishing 52 games and will play what I like as and when. Thanks! It’s finally here! I feel like I have been waiting so long to play this game. It literally feels like forever. I was still in school when I was excitedly watching the trailer. After a long wait and refusal to believe that the game was vapourware; I finally got to play the demo today! You should probably play it! 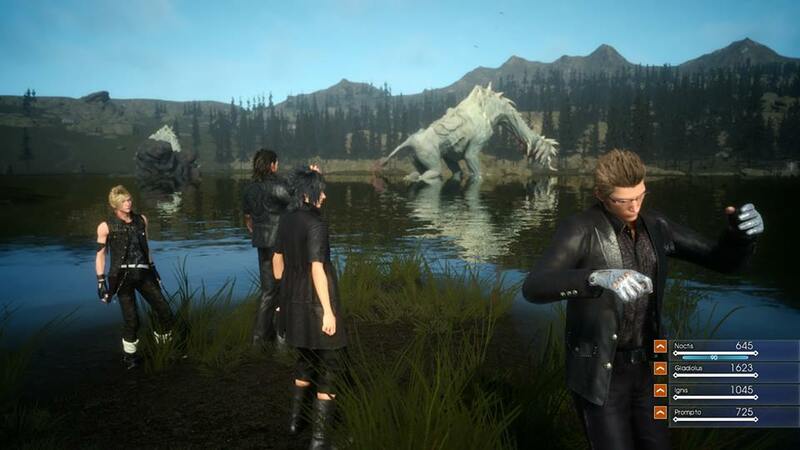 I think basically anyone with any interest in JRPG’s has been desperately waiting to play FFXV. Some lost hope and some like me kept waiting and waiting. This might be hard to believe but I’ve never played a demo before. I made an exception for this game as both FFXV and The Last Guardian are the games I have wanted for so long. So play it! I guess you should probably play Final Fantasy Type-0 too then. Who is buying that for this demo? I liked how real it felt. 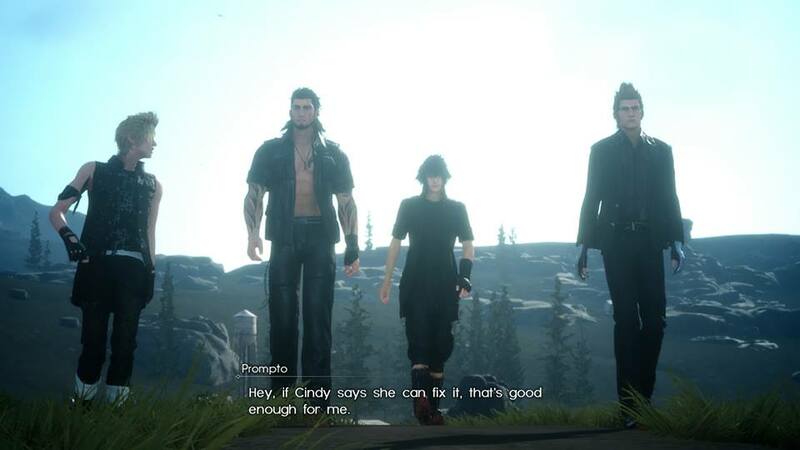 I knew that is was realistic as that is its main selling point but I still found it amazing that Ignis decided to run onto a road in front of a car that angrily breaked and beeped at him. Not your normal Final Fantasy fair. I followed power lines, ignored a mobile phone alarm and went to a gas station. It was all just so amazing. I also enjoyed the battle system. Watching the trailers I thought it would be hard to grasp but I was pleasantly surprised. Warping to and from enemies and incorporating that into your strategy is really fun. Swapping weapons is also great. I will admit I haven’t got all of the different abilities down pat but I am still enjoying it regardless. The music was awesome. The Chocobo theme, the intense battle music. The return of the Victory Fanfare alone was enough to make me smile! I really like the music while you are at camp. It’s so ‘jazzy’ that I can’t help and leave it on the XP screen for a little while. I like all of the characters. A lot of people seem to dislike the fact that they are all males but I dig it. They all seem really interesting and they work. I don’t need a female in the party to be immersed. I have played so many games over the years that I feel just as immersed in the game with a male protagonist as opposed to a female one. Plus I don’t mind the eye candy. For you guys there’s Cid anyway. She definitely isn’t leaving much to the imagination! I liked everything. Literally the only thing I am upset about is that I have to wait so long for the game to actually release. Though we are getting constant new information and trailers now. Even a demo. What a time to be alive!